Bev Smith Kia of Stuart in Stuart, FL, proudly serves as an elite new and used Kia dealership serving the Treasure Coast - especially for our neighbors in West Palm Beach, FL. Whether you're enjoying Lake Mangonia or heading out on the A1A to Everglades Island, you want a superior vehicle to get you where you're going, and that's how Bev Smith Kia of Stuart can help! From Northwood Village to Sunshine Park, car shoppers all over the West Palm Beach area will find an outstanding lineup of new and pre-owned vehicles. For even more value, check out The Bev Smith Kia Difference. Bev Smith Kia of Stuart is just 45 minutes from West Palm Beach on I-95! You'll find us at 3131 SE Federal Hwy, FL 34994. We can't wait to put you in your next vehicle! The destination will be on the right: 3131 SE Federal Hwy, FL 34994. *FOR QUALIFIED BUYERS. REQUIRES THE PURCHASE OR LEASE OF A NEW OR PRE-OWNED VEHICLE FROM BEV SMITH KIA OF STUART. 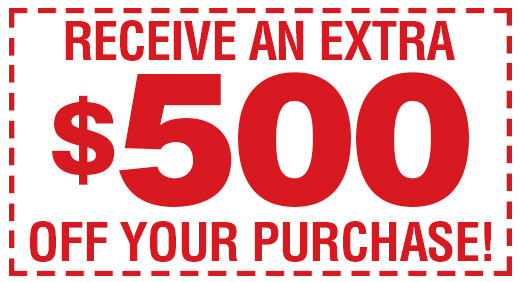 OFFER APPLICABLE TO IN-STOCK BEV SMITH KIA OF STUART INVENTORY ONLY. OFFER VALID 48 HOURS AFTER PURCHASE OF VEHICLE ONLY. $500 PROVIDED BY DEALER. OFFER EXCLUDES TAX, TAG, TITLE, REGISTRATION AND DEALER FEES. THESE CHARGES REPRESENT COSTS AND PROFIT TO THE DEALER FOR ITEMS SUCH AS INSPECTING, CLEANING, AND ADJUSTING VEHICLES, AND PREPARING DOCUMENTS RELATED TO THE SALE. SEE DEALER FOR DETAILS.